Is the North Carolina economy improving or stagnant? Are we in the midst of a “Carolina Comeback” as Governor McCrory and others allege or a prolonged and problematic malaise? The answers to these questions depend in large part upon the measurements we use and how we use them. For many years, economists have simply referred to a nation or state’s gross domestic product or “GDP” as the chief indicator in such matters. Recently, however, experts have identified better ways to measure societal well-being. Join us as we hear from a pioneer in this field, Professor Dirk Philipsen. Dirk Philipsen is Senior Fellow at the Kenan Institute for Ethics at Duke University and a Duke Arts and Sciences Senior Research Scholar. 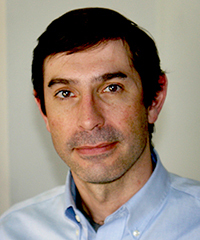 His work and teaching are focused on sustainability and the history of capitalism, and his most recent research has focused on GDP as the dominant measure of success in U.S. and international economic affairs. His work also includes historical explorations of alternative measures for well-being. 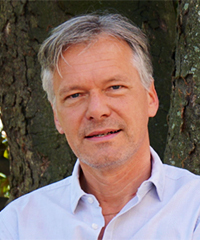 Raised in Germany and educated in both Germany and the United States, Philipsen received a BA in economics (College for Economics, Berlin, 1982), an MA in American Studies (John F. Kennedy Institute, Free University Berlin, 1987) and a PhD in American Social and Economic History (Duke University, 1992). He has taught at Duke University, Virginia Commonwealth University and Virginia State University. For 10 years, he served as Director of the Institute for the Study of Race Relations, which he founded in 1997, at Virginia State University. From 2001-2002, he served as one of the lead authors in generating a new shared governance constitution for Virginia State University. Philipsen’s first book, We Were the People, chronicles the collapse of communism in East Germany and was published by Duke University Press. His latest work is published by Princeton University Press under the title The Little Big Number — How GDP Came to Rule the World, And What to Do About It. Professor Philipsen will be joined by N.C. Budget & Tax Center Policy Analyst, Dr. Patrick McHugh. McHugh joined the Budget & Tax Center in December 2014 as its dedicated economic analyst and has quickly established himself as one of North Carolina’s most insightful commentators on state economic policy. When: Tuesday, June 21, at noon — Box lunches will be available at 11:45 a.m.